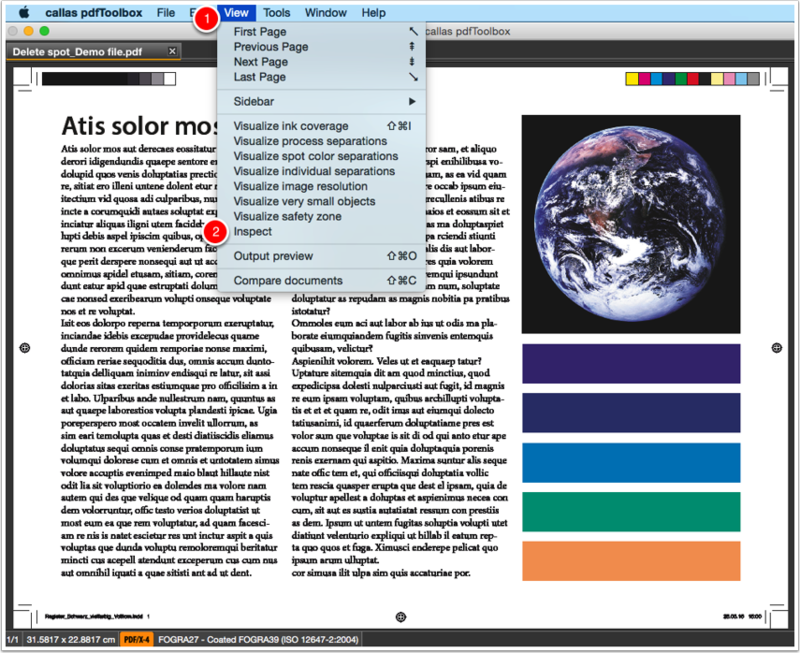 In pdfToolbox 8.2 a new type of correction (Fixup) is introduced. 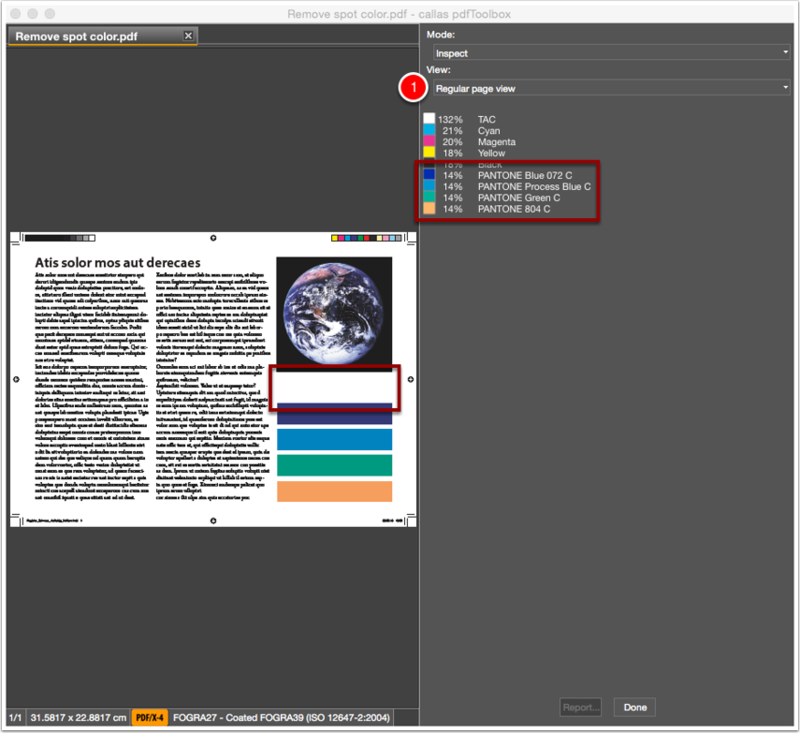 From this version specified objects can be removed. 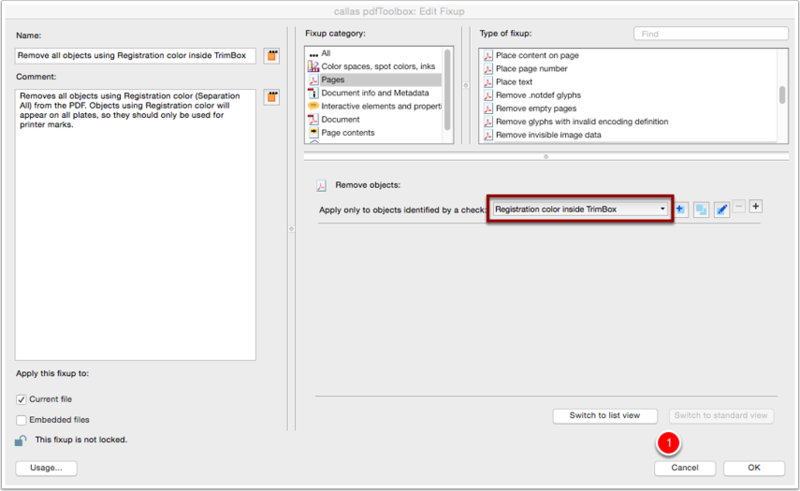 In the Fixup "Remove objects", the criteria are based on predefined or customised checks. 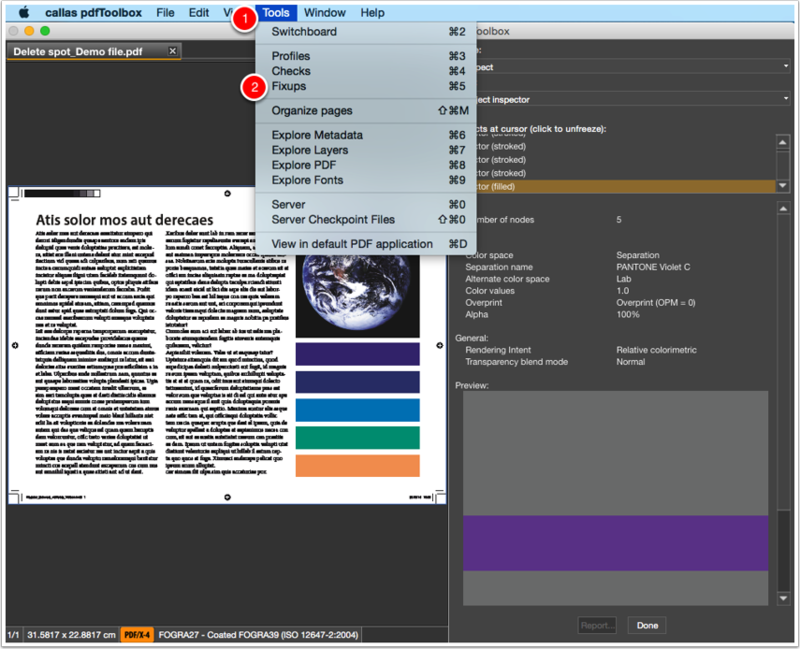 Open the PDF file "Delete spot_Demo file.pdf"
Click on the color patch "PANTONE Violet C". 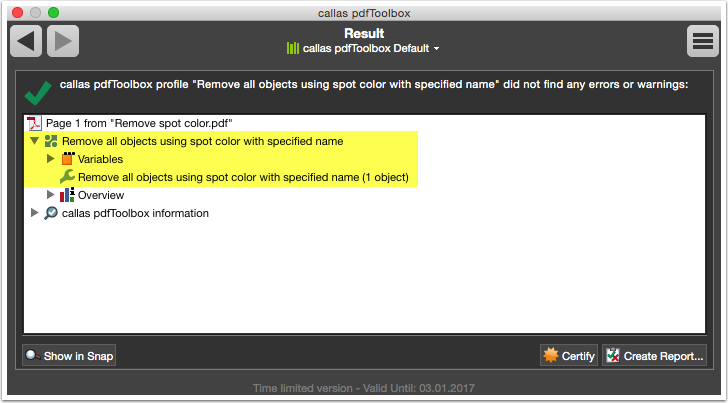 In the search field search to "Remove all objects using spot color with specified name". 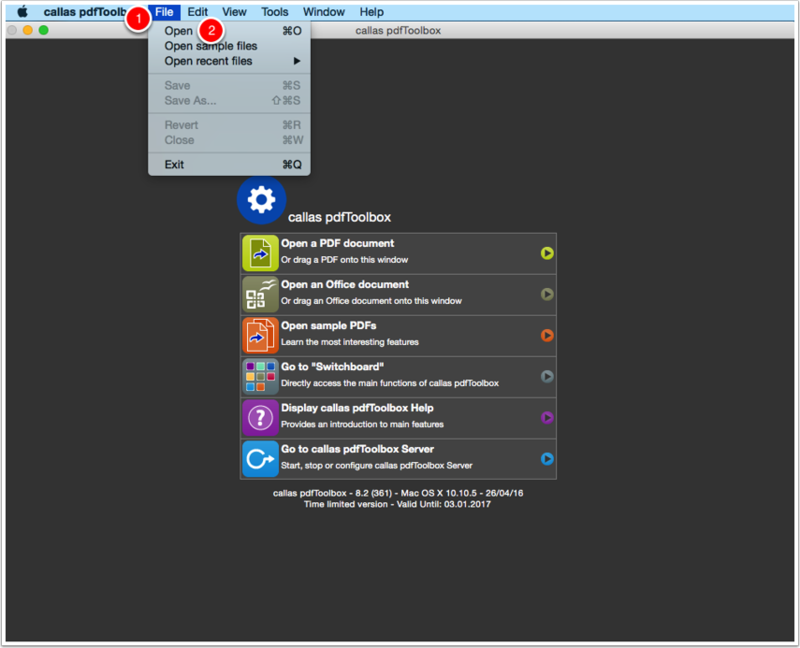 Select the Fixup "Remove all objects using spot color with specified name". 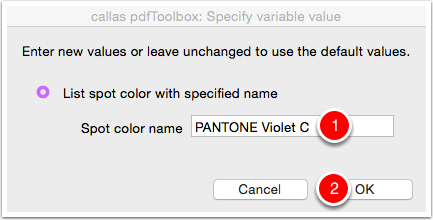 Enter the value "PANTONE Violet C". 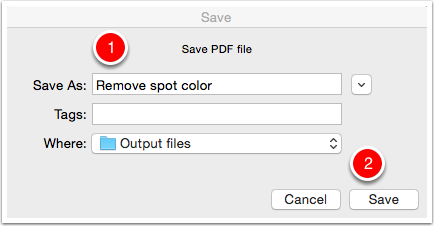 Save the PDF file as "Remove spot color". The spot color "PANTONE Violet C" is removed. The other spot colors are still available. 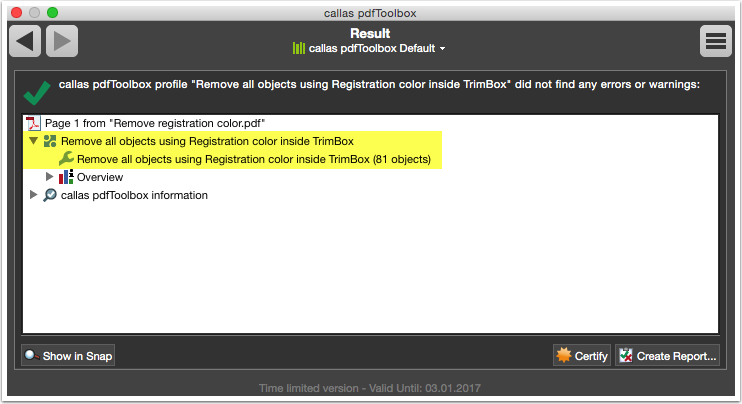 In the second part of the tutorial I will remove all the objects in registration color located inside the TrimBox. The text will be removed. In the search field search to "Remove all objects using Registration color inside TrimBox". 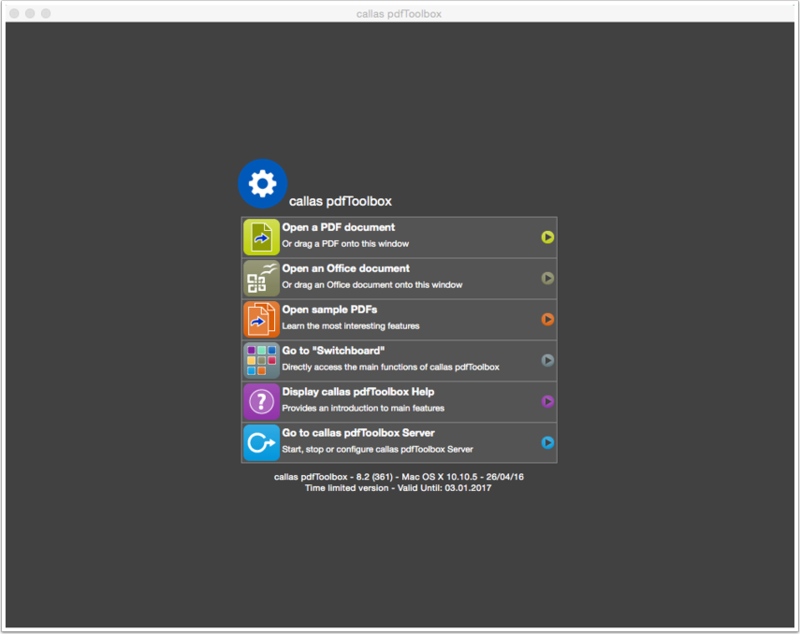 Select the Fixup "Remove all objects using Registration color inside TrimBox". 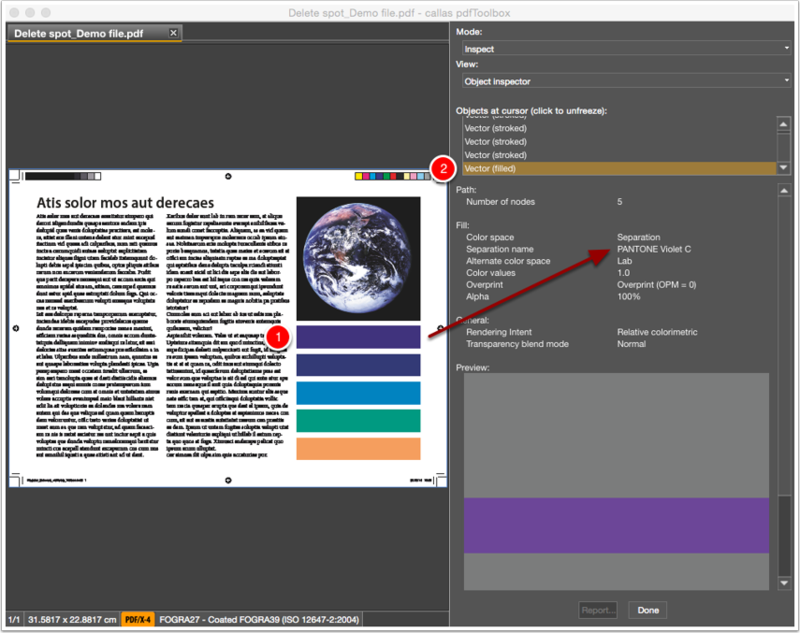 In the Fixup the Check "Registration color inside TrimBox" is selected. 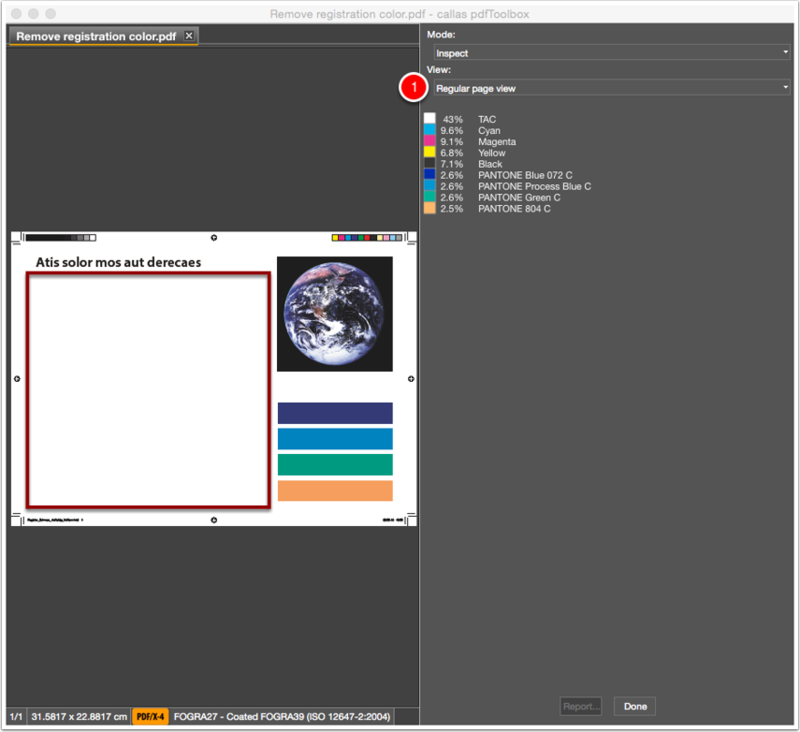 It will detect objects where registration color is used. Save the PDF file as "Remove registration color". The registration text inside the TrimBox is removed.